After his father’s death, Luo Hongwei returns home and takes a clock off the wall. In the clock, he finds a photo with a hole in it. with a name and number on the back. Pretty soon, Hongwei is roaming the over- and under-worlds in search of a name, or a woman, or perhaps an idea. Indeed there is a woman, Wan Qiwen (played by Tang Wei), who looks too much like a movie star to be from dusty Kaili. There’s also a murder, an apple, and an old, green book that’s seen better days. On this lonely night, possibly his last one on earth, Hongwei will play ping-pong with a stranger, he’ll duck into a movie theater, he’ll even fly. 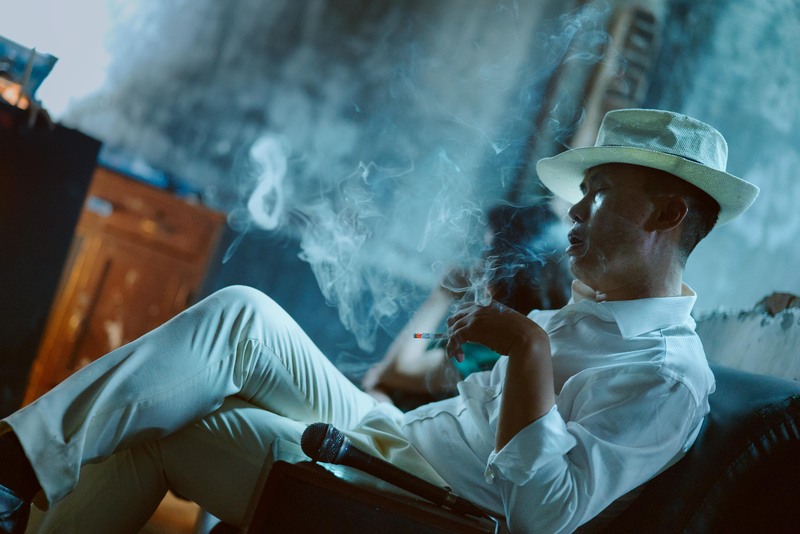 With its sashaying plot and camera caresses over neon surfaces, Bi Gan’s noir-romance is a moebius strip of sultry feelings, where characters look longingly through stained glass that turns out to be mirrors. This is a nocturnal carnival of wayward memories, a huskily-sung lullaby for sleepwalkers. Where everyone’s names sound like those of Cantopop stars and there’s no waking from what is either a memory or a dream state.In Bi Gan’s world, characters are tethered to irreconcilable pasts and potentially fabricated nostalgias that feel like Vertigo by way of Suzhou River. Movies are always false, we’re told, while memories only sometimes so. 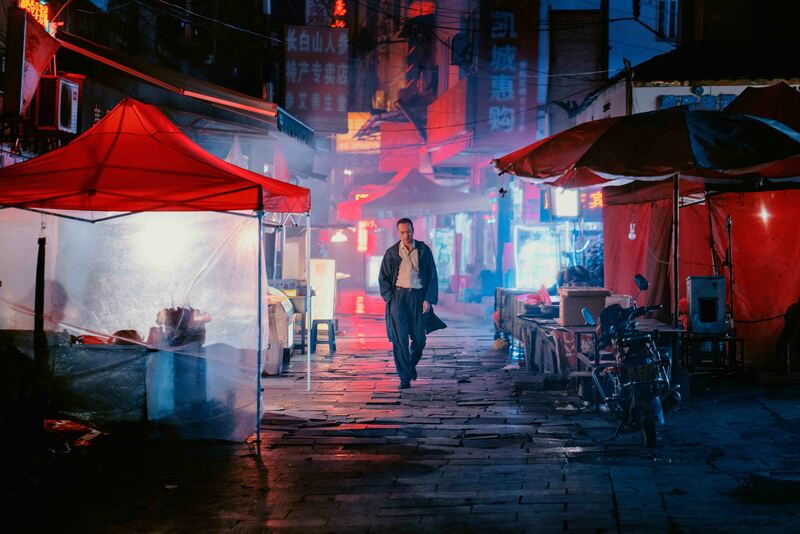 What does it mean then that LONG DAY’S JOURNEY INTO NIGHT is very much a movie – magnificently, monumentally so – one that enters into 3D just as we’re starting to feel out its shape?